Sea Glass will be a gulf front, contemporary development constructed on 200 feet of sugar white beaches along the Gulf of Mexico. 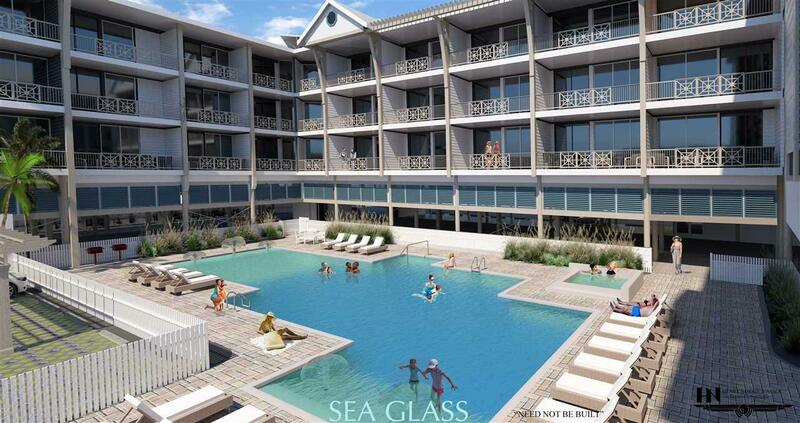 Sea Glass is the only low-rise condominium to be built on the Gulf in Gulf Shores in 10 years. This will be a Gold Fortified development built to international building standards. 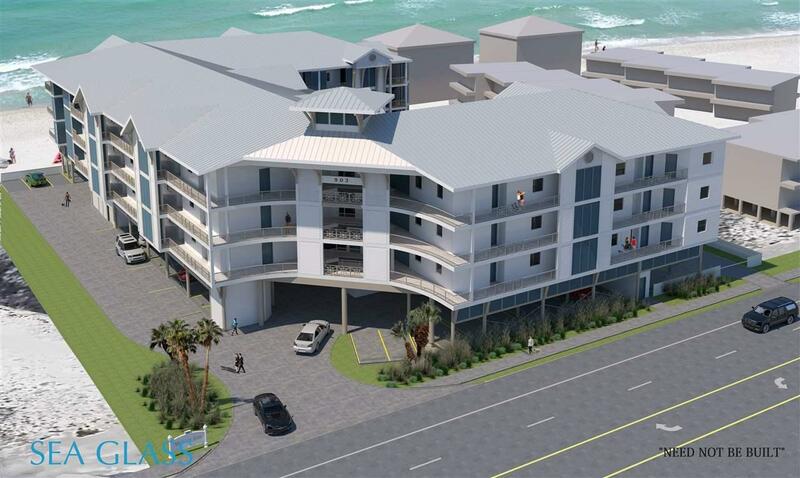 Reservations are being taken for Phase 1 which encompasses a total of 21 gulf front units. The oversize pool will offer zero entry and a splash pad along with grilling area. Phase 1, A type units will offer one bedroom and 1 & 1/2 baths, 9 ft ceilings, double vanity in master bath, stainless appliances, full size stack washer/dryer, 3cm granite counter tops in kitchen and baths, shaker style cabinetry, and family friendly media room. Interiors designed by Melanie Martin Interiors and there are special furniture packages available to purchase. Need not be built, pricing and availability subject to change. Sea Glass will require a 3 day minimum rental. Listing information © 2019 Baldwin County Association of REALTORS® MLS. IDX information is provided exclusively for consumers' personal, non-commercial use and may not be used for any purpose other than to identify prospective properties consumers may be interested in purchasing. Data is deemed reliable but is not guaranteed accurate by the MLS or Elite Real Estate Solutions. Data last updated 2019-04-23T00:27:50.493.